Since I have been spending a little too much money lately, I told myself I'd stay in most of this weekend and get some things done on my to-do list. One of them included making Blonde an official Facebook page! 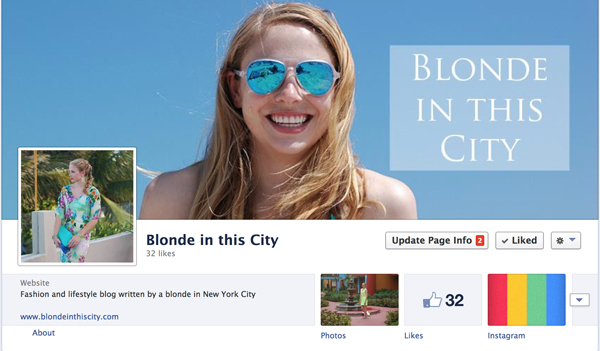 I'm already on Twitter, Instagram and Pinterest under the handle @Rosamapose, and now you can follow along at www.facebook.com/BlondeinthisCity. I'll definitely check it out, I hope you hada great weekend!